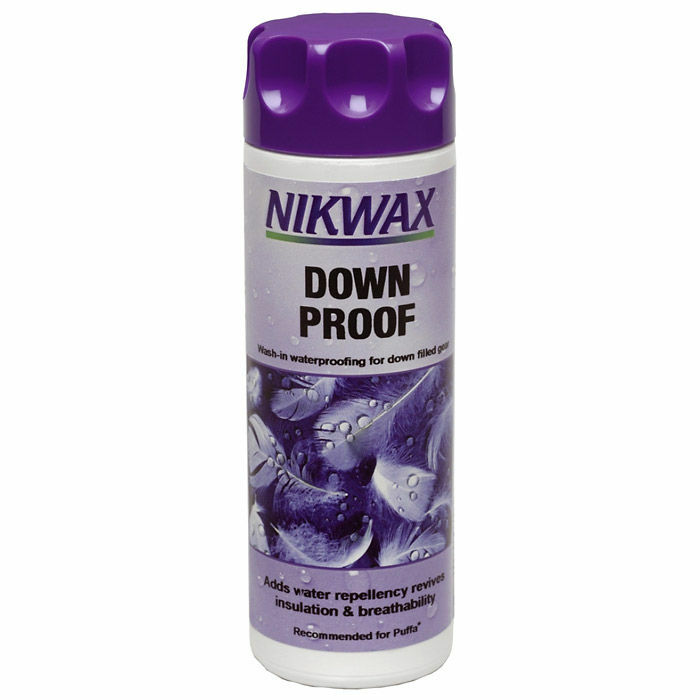 Nikwax Down Proof is the leading wash-in waterproofing for down-filled clothing. 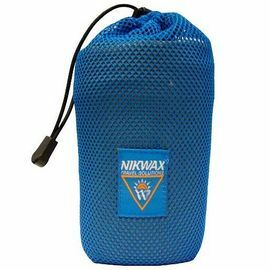 Simply use it in your washing machine at home to safely add Durable Water Repellency (DWR) to your favourite winter garments. 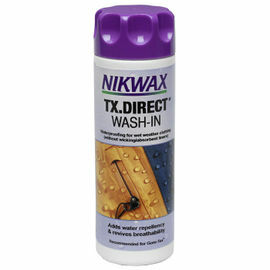 Nikwax Down Proof is the market leader; it has been specifically designed and optimised for down-filled items, providing Durable Water Repellency (DWR) to both the outer fabric and the down fill, whilst maintaining insulation and breathability. If down gets wet it clumps together, causing it to lose loft and insulation, due to the fact that it cannot trap air effectively. Your garment will also gain weight and its breathability will be significantly reduced, leaving you feeling cold, wet and uncomfortable. Therefore it is important to proof your down-filled gear, allowing it to perform to its maximum potential. Application in your washing machine ensures that the treatment goes right through each garment, treating both the outer fabric and the down fill. It leaves a flexible water repellent treatment on individual down filaments and fabric fibres allowing moisture vapour to pass through, maintaining breathability and optimising performance in cold and damp conditions. Using the right cleaning product is as important as using the right waterproofing product. Dirt, and the residue left behind by standard household detergents, can attract water to your garments, leading to the fabric 'wetting out' in damp conditions. 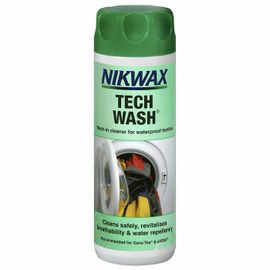 For best results, always clean items first with Nikwax Down Wash.